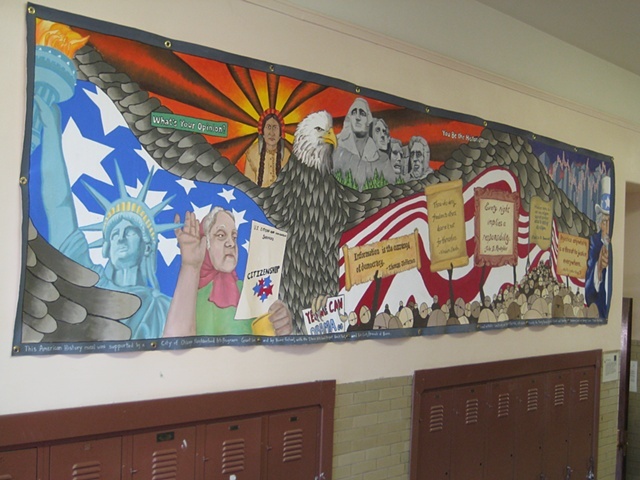 With the support of a second Neighborhood Arts Program grant from the City of Chicago and an IAC Project Quick Start grant, we led another mural project at Boone School in fall 2008. This one was for the 7th and 8th grade Social Studies wing of the school, on the third floor. Collaborating with the classroom teacher to determine the subject, we decided to focus on themes in American democracy, as seen through the Bill of Rights and events in US History. 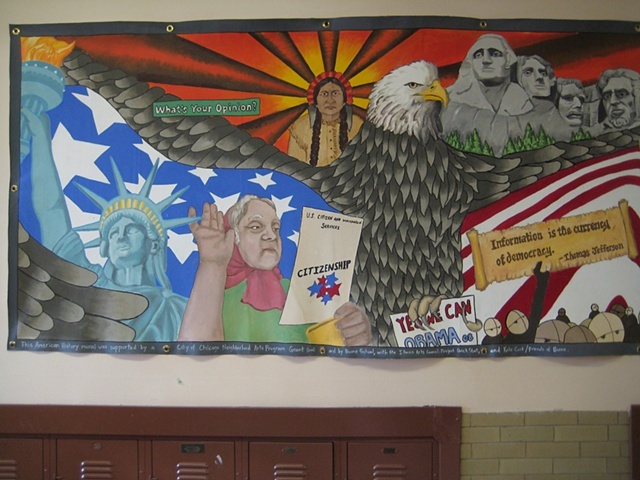 Social Studies students from 7th and 8th grade worked on the mural from start to finish, along with kids in the art club. 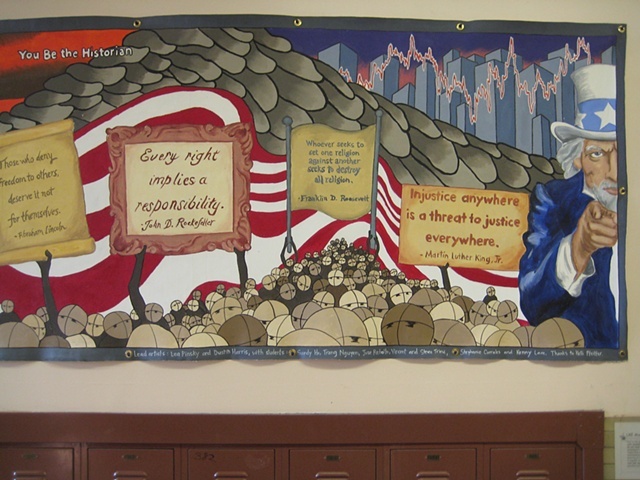 We were solidifying the mural design right around the time of the election, and were happy to have a space to make mention of Obama's win, which is certainly a major event in American history!